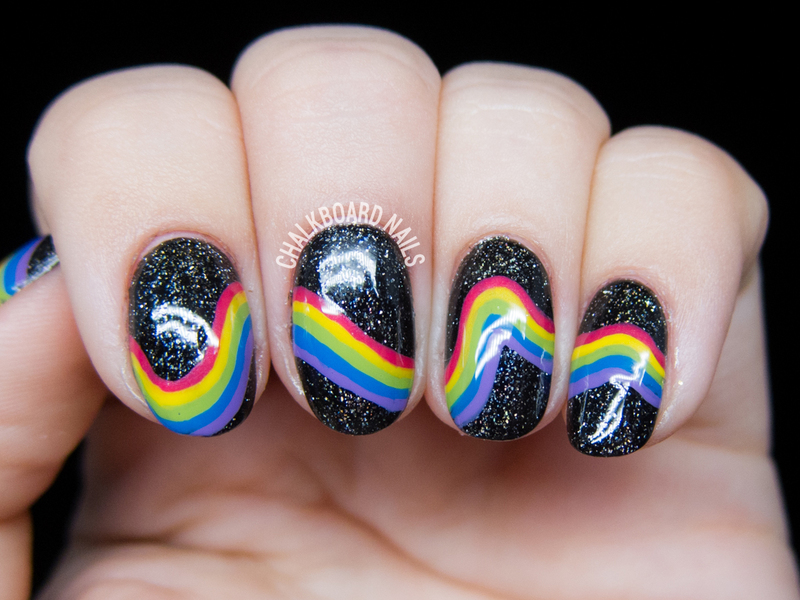 This design is pretty straightforward, but like the Mario Kart Rainbow Road, can be challenging when going around the curves. I started with a base of 2 coats of Zoya Storm. Such a winner for them, yeah? It's too gorgeous and I love the coarse fleck. 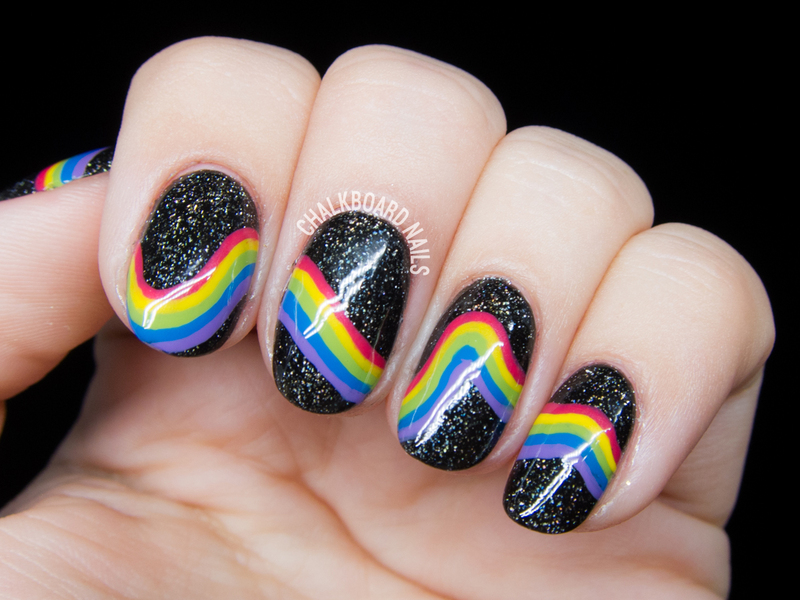 Then, I painted the rainbow stripes freehand using Zoya Yana (pink-red), Zoya Darcy (yellow), Zoya Tilda (green), Zoya Ling (blue), and Zoya Malia (purple). 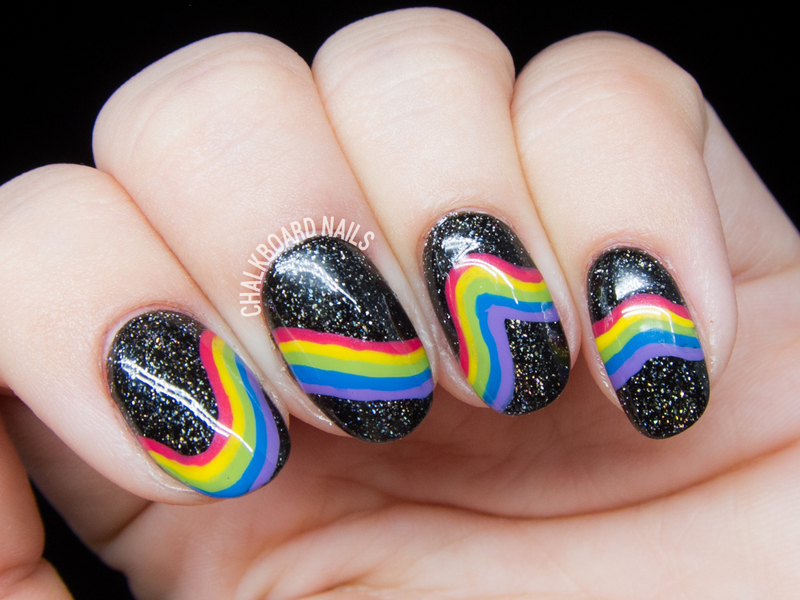 The intention was to make the rainbow line up between all my nails (see the first pic for the best representation of that), and I think it turned out pretty well!